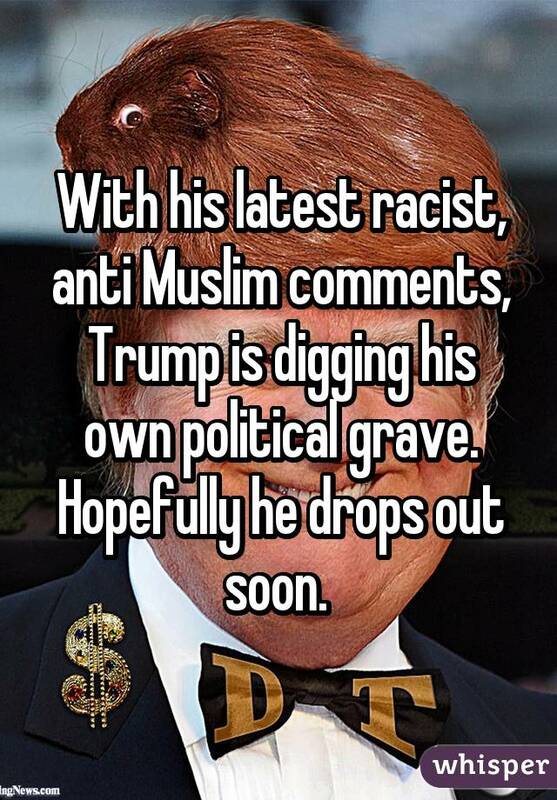 It's no secret that since he entered the 2016 presidential race, Donald Trump has stirred up lots of controversy throughout not only American society but also the international community with his extreme views and harsh promises. 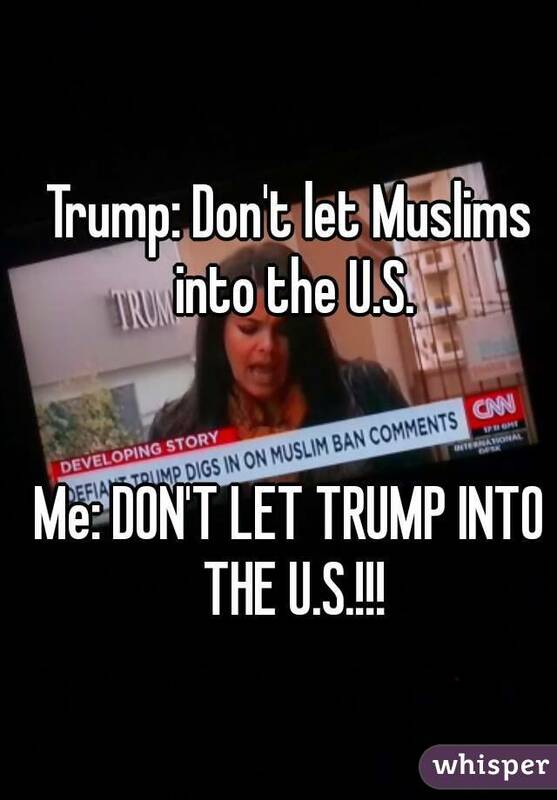 Whether he's defending the idea of building a wall between Mexico and the United States, causing an upset among otherwise loyal 'Saturday Night Live' fans or the announcing a plan to ban the entry of any Muslim people into our country, Trump loses supporters almost as fervently as he gains them. 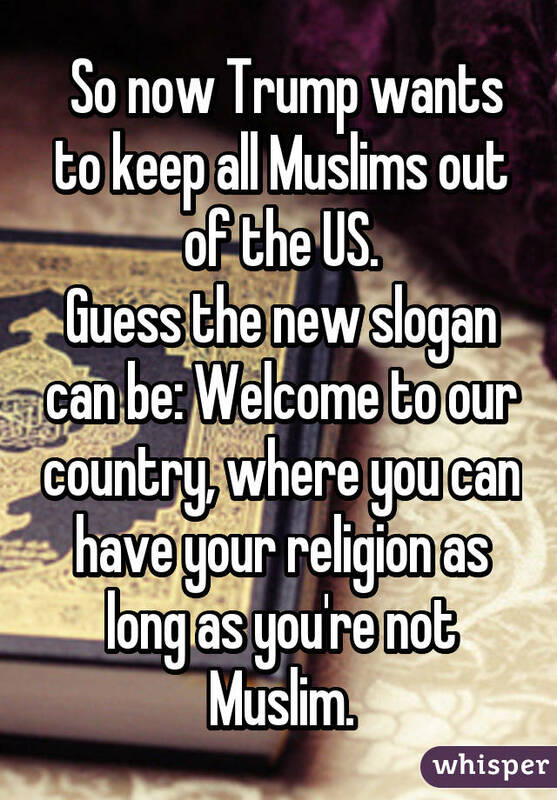 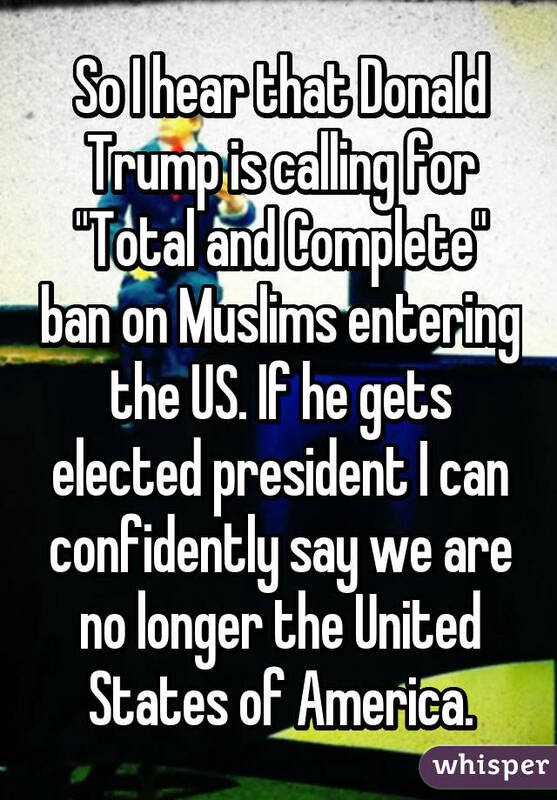 Several people who were especially incensed by Trump's ban on Muslims took to Whisper, the popular app that provides an anonymous platform for people to share their most honest thoughts, to share their brutally honest reactions. 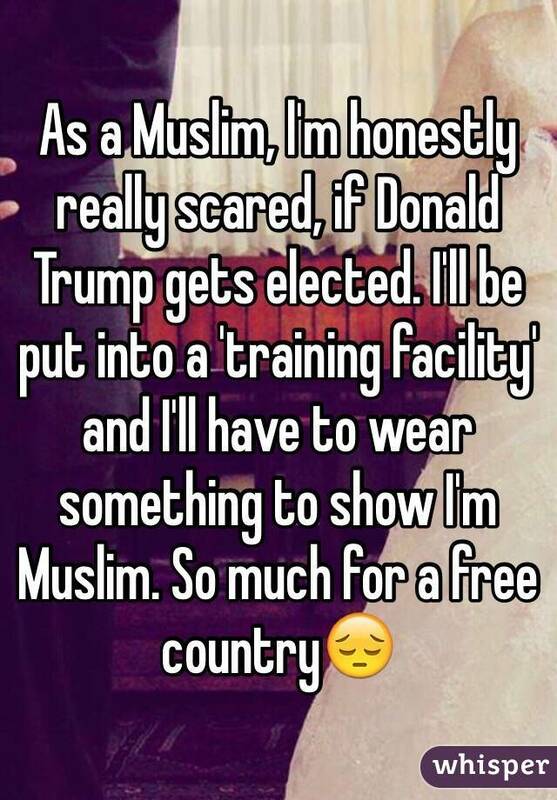 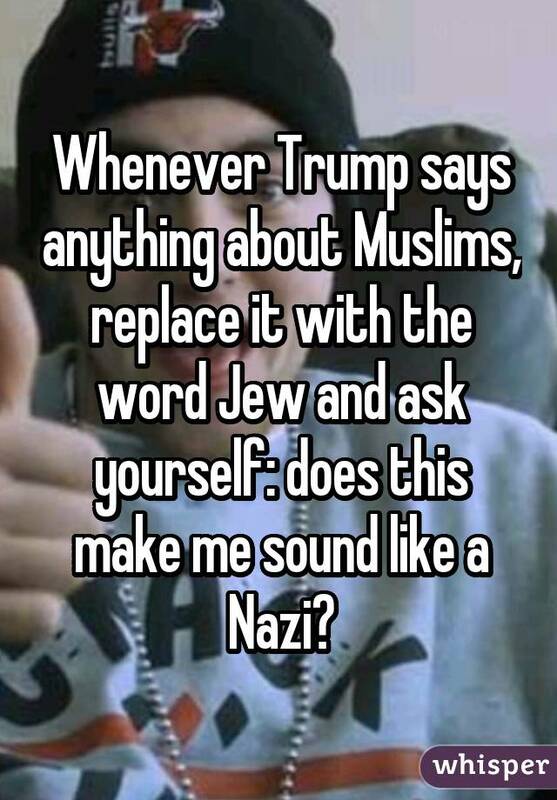 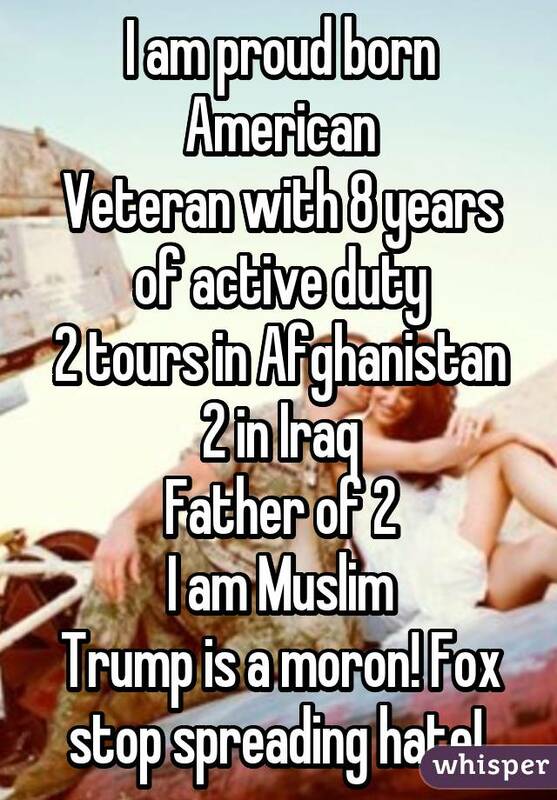 For more reactions to Trump, check out Whisper.